Today we’d like to introduce you to Heather McQueen. Heather, can you briefly walk us through your story – how you started and how you got to where you are today. People know me for the ceramic drums, so “HeatherDrums” is a nickname that is used a lot – and it’s now my Instagram handle, too. 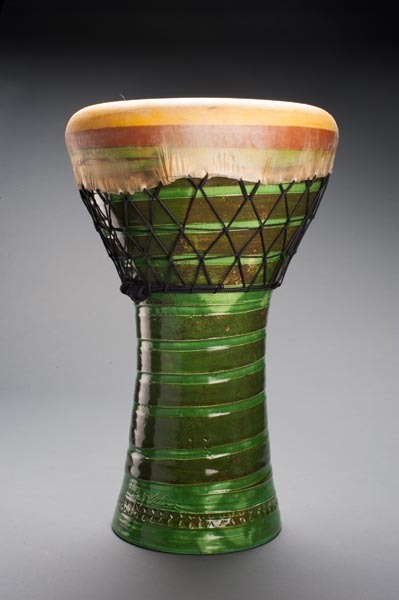 It may be a surprising thing to imagine: a drum made of clay, but anyone familiar with Middle-Eastern culture and music will recognize it as a traditional instrument. 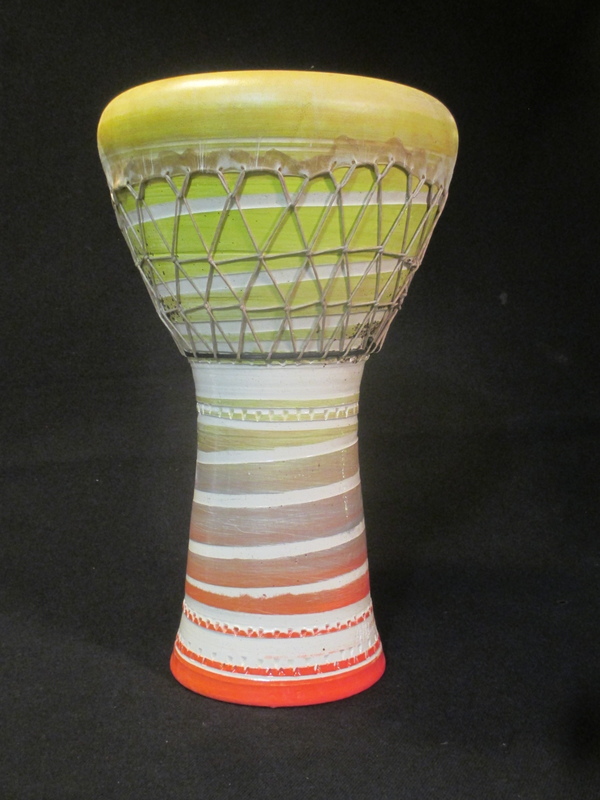 The doumbek or darbuka, as it’s called, is a beautiful thing and I’m proud to apply my knowledge and skill to making them. I have a background in music, and when I started making the drums, I was instantly captivated by their musicality. They have opened my world, in a way, and I’ve also become a proficient player and teacher of percussion. At one point, I was organizing music retreats in Morocco! I get requests from all over the world and have even appeared in a television commercial. It’s a quiet kind of notoriety; they speak for themselves. I come from a long line of ‘crafty’ people, and so it was pretty natural that I became an artist. 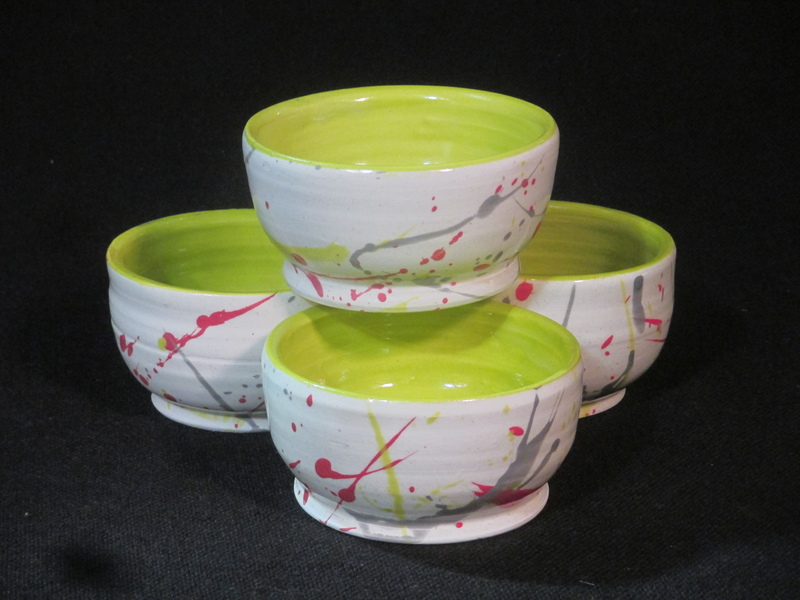 I’m a graduate of SAIC; I’ve been doing ceramics since high school and was influenced by a neighbor who was a potter. I got my first potter’s wheel at age 16 or so, and it’s still my favorite way of working. Those early days of enchantment led me to it, and my own stubbornness and tenacity have kept me at it! Clayworking is an honest, direct, earth-touching experience, but there are plenty of tears of frustration. 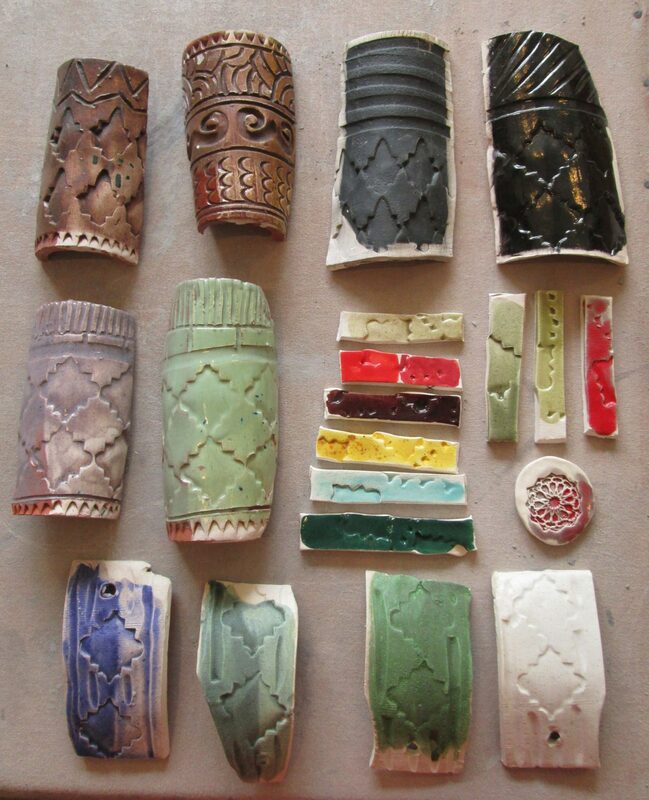 I’m sure that I share this in common with ceramicists going back 10,000 years. (that, and I’m also a cave explorer, it’s funny and it’s true!) Aside from business, it’s very demanding as a material, there are rules. It isn’t all ‘freeflow’. We are always learning. My roots are in the Midwest and I was raised to appreciate nature. I feel a void when it isn’t in my life. Especially since transferring to Chicago in the late 1990s, I’ve been distanced from being outdoors. 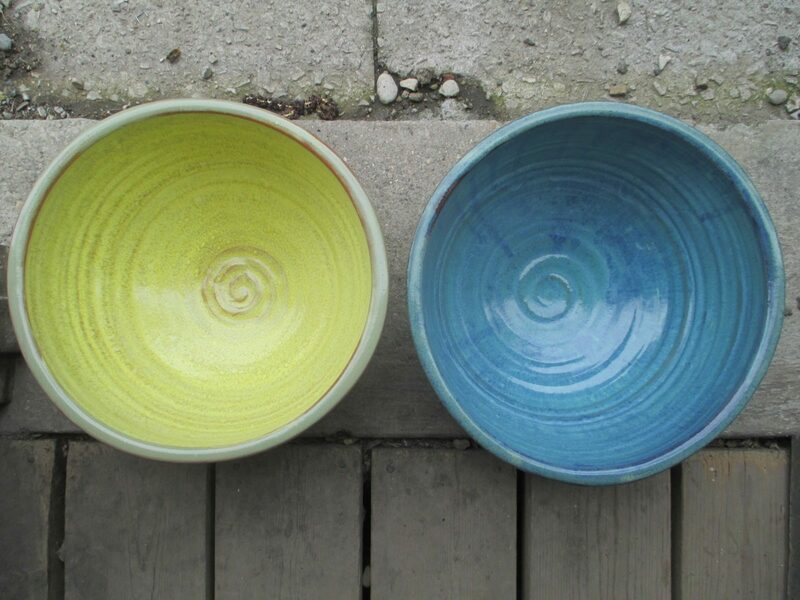 Clay keeps me connected, it’s very grounding. I love that. Now, that I’m 40, I feel the urgency: there is never enough time to do the work I want to be doing. That gets me up early, keeps me at the studio late, and in general drives my devotion, to this passion. I’m a vessel sculptor. The fact that I also do them for money is another layer of problem-solving, for which there is no clear answer. You have to put in the hours and do the work, that’s the most critical part. So let’s switch gears a bit and go into the Heather McQueen Studio story. Tell us more about the business. As an independent artist, I devote as much time as I can to making, promoting, and selling my own work. 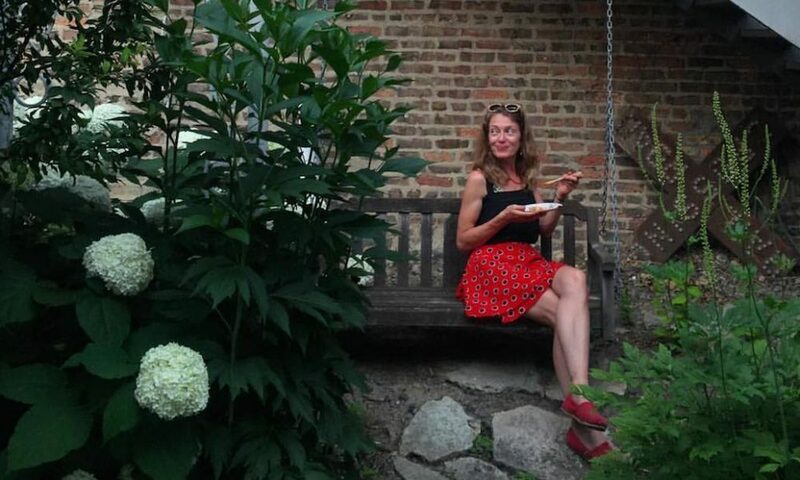 I operate out of an artist-owned warehouse in West Town, where I manage my own space and equipment. My current output is about 50% drums, and the other half is free exploration. In the past decade, I’ve been a partner in some really cool art businesses, spent tons of time in schools sharing what I know, and these days I’m looking to see what else I can do with this material. I’m a great teacher because I love what I do and it’s important to me that all people have access to real experiences with real materials. I also hire people to help in my studio. I love that, I make art jobs! 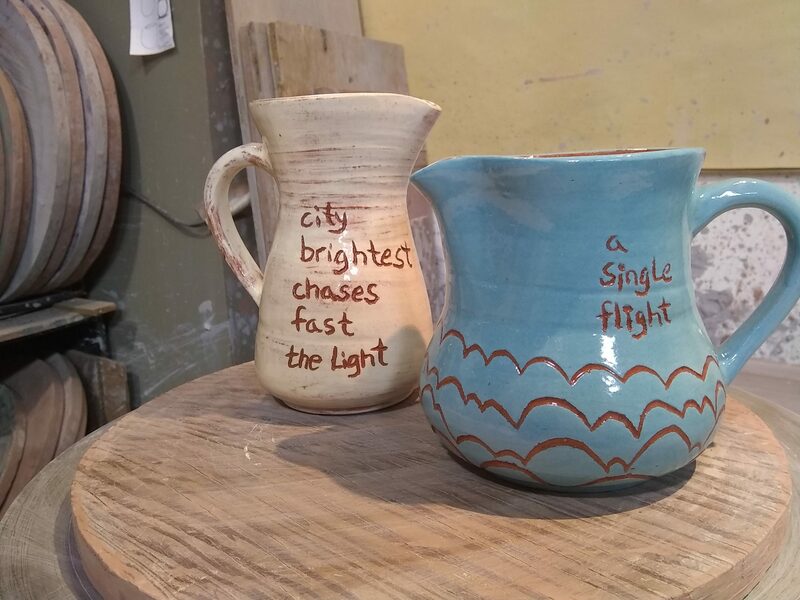 Because my workspace is tiny, I’m producing mid-size ceramics for interiors; things like bookends, vases, bowls of all sizes, vessels with poems written on them (a collaboration with a local writer). The drums are beautiful, they’re unique and decorative and I’m referring a lot to what I’ve learned from making them. 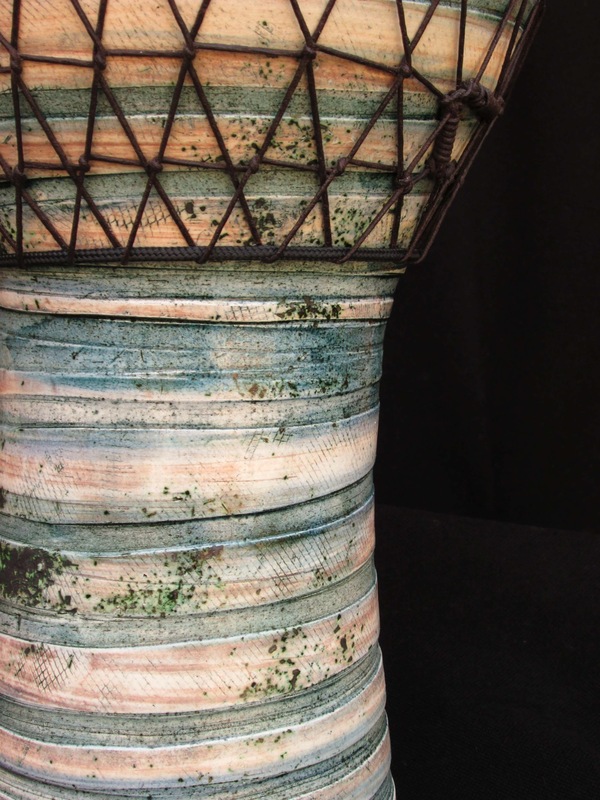 I’m also interested in other vessels and objects that we humans connect with. 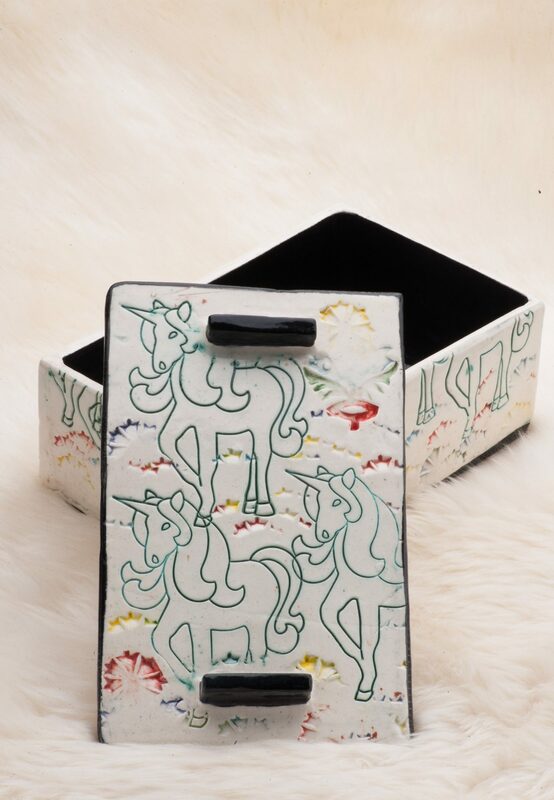 The Unicorn boxes are about this: magical relationships, ways of keeping the memory and sacred totems. So, I’m 50% drums and 50% exploration, that’s pretty great when I think about it! Many of my customers are musicians, of course, and my drums can be found locally at the Old Town School of Folk Music in Lincoln Square. I have an online store and am looking to make more connections with boutiques and vendors for my other work, both locally and in other markets. Art-making is risk-taking. It hasn’t been an easy ride, but I’ve been very lucky to make a living off it. It’s also who you know, which means we have to continue to put ourselves out there and make connections. That can be a fun balance to the solitary studio practice, but, of course, there are no guarantees and you never know when things will flow your way. So, luck, yes, certainly, but also a lot of hard work and “hanging-in-there”!